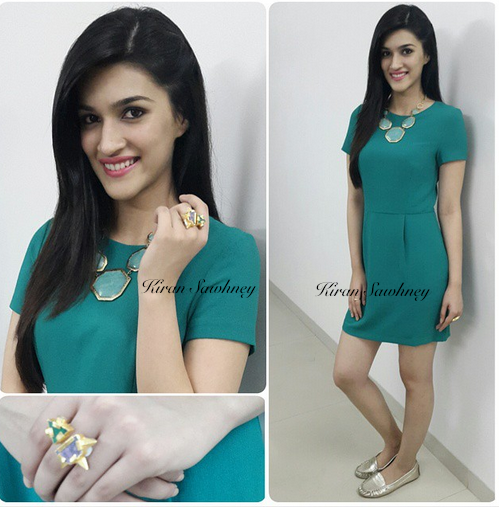 For the premiere of Ugly, Kriti wore a Forever New dress with Isharya necklace and Aquamarine ring and Steve Maden shoes. She looked cute. Wish she had chosen a necklace of different color as this one seems to blend with her dress.